Starting next week, I’ll be participating in TechChange‘s course on Global Innovations for Digital Organizing: Open Data, Good Governance and Online/Offline Advocacy. I’m excited about it because the topics are among the things I’m most interested in, and I think they deserve a closer and more focused look. I wrote a post back in November 2010 asking “where’s the ICT4D distance learning.” This led me to discover TechChange, and in January 2011 we co-hosted an “ICT4D Distance Learning Tweet Chat.” Since then I’ve been collaborating with the team to input into course ideas. I also participated as a moderator in the Mobiles in International Development course last year. Working across time zones can be a challenge, as I also discovered when moderating the Mobiles in Development course. Scheduling in side chats was difficult, but that’s not something that’s easy to fix. TechChange tries to address this by “combining synchronous and asynchronous learning in the same platform and keeping the balance between a persistent learning network where people can socialize (via video, audio, and text) with each other and experts, and allowing people to get caught up on weekends when they fall behind so that they don’t feel left out,” according to Nick. One thing the group learned about running this kind of course is that when engaging external experts in webinars and chats, informal-yet-direct interaction is much better than more produced content. 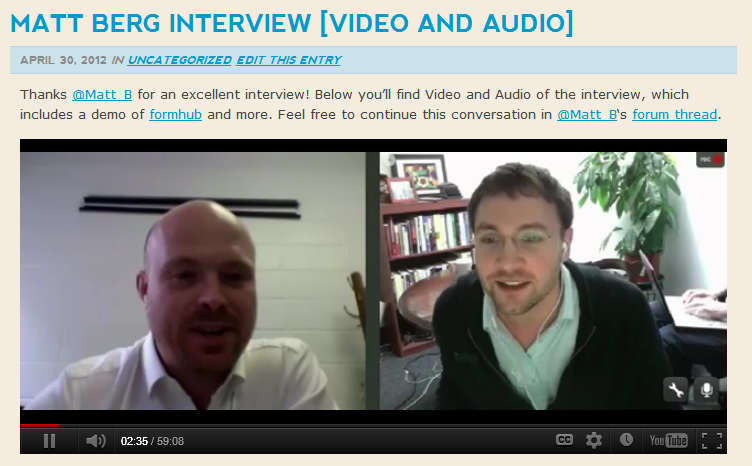 “We tried doing formal studio-style interviews with our experts, but found that most students just tuned out like they were watching a TV show. When the experts were just talking directly to the camera from their laptops, we found students asked more questions and participated more. They really appreciated the access to experts and weren’t particular about the production value of the webcast. Sometimes less is more,” Nick says. Personal attention can still be a challenge, however. So TechChange emphasizes the role and importance of moderators. 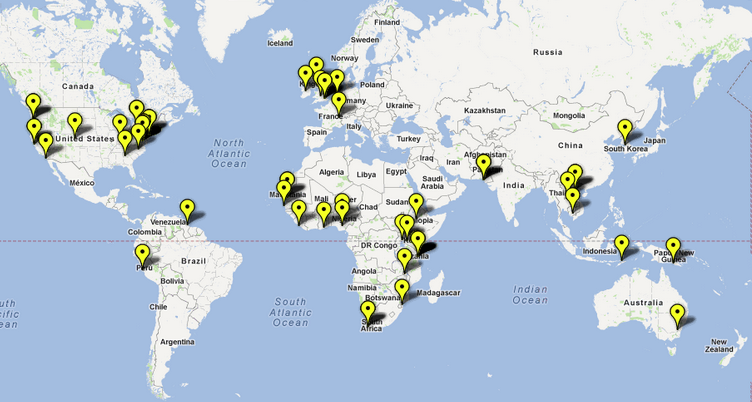 Their last Mobiles for International Development course had 70 students from 30 countries (see map below), making moderators a key part of personalization. 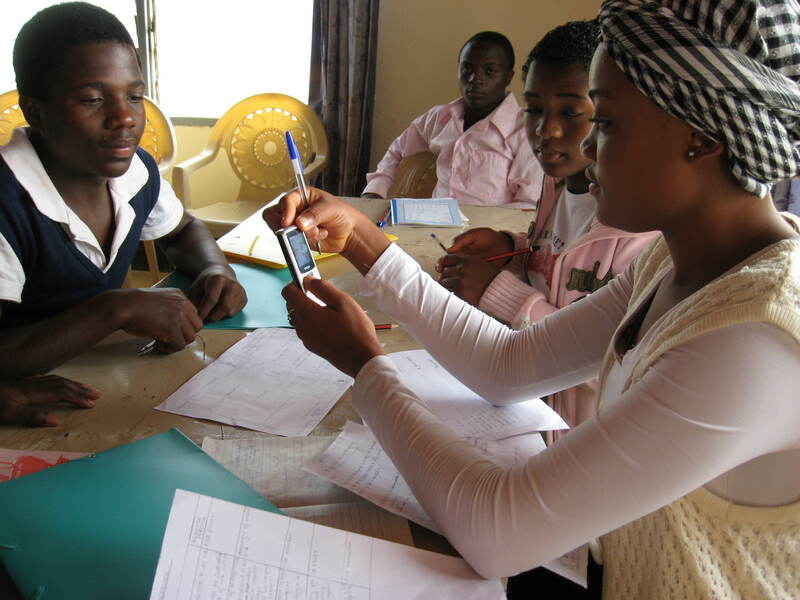 Helping international development organizations integrate online learning into their local capacity building projects. TechChange plans to work in the area of technical capacity building by developing more custom courses for organizations. “We see our role as changing from being the central learning location for individual students to helping development/nonprofit organizations reach out to their key stakeholders. This fulfills a key part of our mandate. It lets us provide tailor-made courses for organizations in fragile states and countries in transition.” TechChange is also looking to integrate their platform into other online learning opportunities, such as accredited courses and online conference opportunities. It’s inspiring for me to see how quickly TechChange has built their online learning platform and how adaptable they are to the topics and themes that different people and organizations need to get a handle on in the area of ICTs and development and related humanitarian fields. I’m looking forward to participating (and speaking as a guest) in the Digital Organizing course starting on Monday! This is a guest post by (my boss) Tessie San Martin, CEO of Plan International USA. Tessie presented at Fail Faire DC last night. These are her thoughts on the event, and about failure in general. I attended the most extraordinary event, hosted by the World Bank and organized and sponsored by a variety of organizations including Development Gateway, Inveneo, Jhpiego, and Facilitating Change. The objective of the event was to share our failures using technology in a development context, and to be bold, forthright, honest, and (this is very important when talking about one’s shortcomings!) humorous. There were 10 presenters (including me). We all agreed to be on the record. The event, and the fact that I agreed to be on the record did make my IT and Communications teams a wee bit anxious. But I was keen to take on this opportunity. 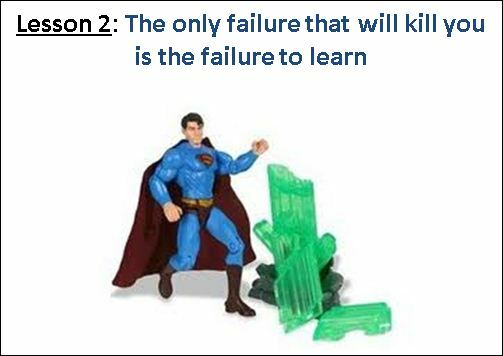 In my presentation I spoke about what I call organizational kryptonite (all the geeky readers out there like me will know that kryptonite is matter that weakens – and slowly kills with extended exposure – Superman): being silent about your failures. If we do not share – and learn from – failures, we will never learn what works. If we do not take risks, and encourage experimentation, we will never advance. The successful organizations are those that motivate risk taking. As well as transparency and openness, about what is working and what is not. So I attended this Fail Fair, and happily shared with the audience our various challenges (a nice euphemism don’t you think?) with the application of technology for not just what I could learn (and I learned a lot) but also for what attending and presenting says about Plan. We are failing. And in that failure we are learning, adapting and advancing, and therefore improving our ability to improve the lives of children around the world.